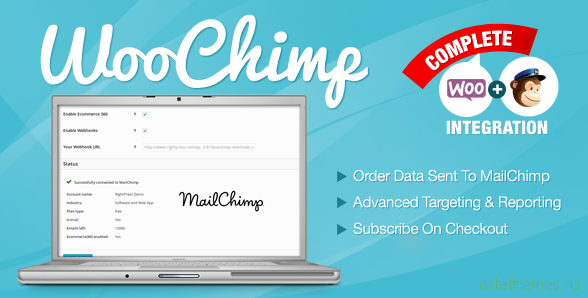 WooChimp integrates your WooCommerce store with MailChimp. In just a few clicks, you can turn your store into a powerful marketing machine. MailChimp is by far the most powerful email marketing service used to design and send email campaigns, manage subscribers, and track campaign’s performance. While it is a perfect fit for your WooCommerce store marketing, it may be hard to integrate all the powerful features that it has to offer. 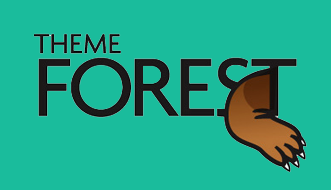 WooChimp integrates your WooCommerce store with MailChimp in just a few simple steps. This is not just another “Add a signup option to a checkout page” type plugin – it fully supports MailChimp’s Ecommerce360 functionality, multiple mailing lists, subscriber groups, merge tags and webhooks! And sure… it adds a signup option to the checkout.